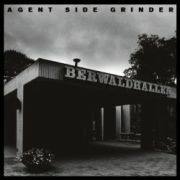 We do not exagerate when we say that this record by Swedish band Agent Side Grinder has been awaited for. The response to their debut single, and their contribution to the Hoera! Een Hex voor thuis! compilation LP, has been overwhelmingly positive. There has been written and said that a full lenght album is eagerly awaited. Enfant Terrible is very happy to pressent this debut album. 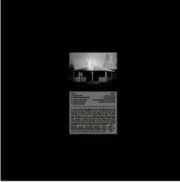 The band plays real industrial music in the style of Cabaret Voltaire, mix it with some proto-punk in the Suicide way, fuse this with the energy of early EBM reminiscent of The Klinik and top this with psychedelic touches that can be traced back to The Doors. The result is an unique, contemporary and fresh sound that will appeal to fans of industrial, elektro, old style EBM and krautrock alike. Also Agent Side Grinde has already proven to be a great live band, with only analogue equipement on stage.